Summary: Luke is the perfect boyfriend: handsome, kind, fun. He and Emaline have been together all through high school in Colby, the beach town where they both grew up. But now, in the summer before college, Emaline wonders if perfect is good enough. 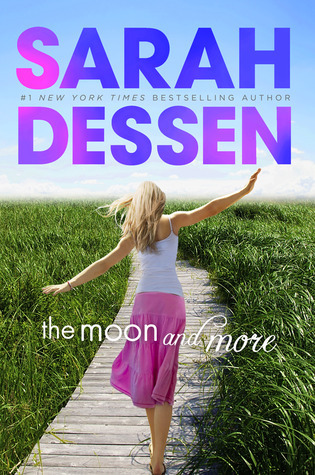 Review: Dessen has a magical way of writing a true teenage girl. Every. Single. Time. And they’re always different. Emaline, the heroine of this novel, is just as authentic. I loved the way Dessen built Emaline’s love of her small town. As a “small town girl in the middle of nowhere”, it has taken a few years and lots of nostalgia to appreciate and even love living in a small town. Seeing Emaline defend her hometown to the big “city clickers” was refreshing. Dessen also does a great job setting up this view between the vacationers and the townies of “us” and “them”. Emaline has to decide which part of “us” and which part of “them” she wants to be part of. I also loved the tension that Dessen created between Emaline and her father. I wanted to read this novel since it came out, since I’ve read a few of Desen’s earlier novels. Does this one stay geared towards girls? It’s not geared toward any gender. It’s simply geared towards readers who happen to the mystery/crime, magic, and sci-fi/fantasy novels.